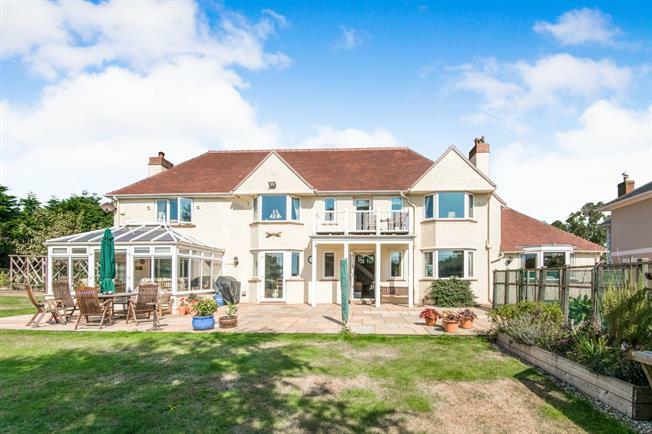 4 Bedroom Detached House For Sale in Budleigh Salterton for Guide Price £1,250,000. A superb detached 1930's residence set in its own private grounds of approx. 0.8 acre with south facing rear garden and uninterrupted sea views from the first floor. This spacious, well planned property has been sympathetically modernised, improved and extended over recent years to include gas central heating, uPVC double glazing, new roof, modern kitchen, bathroom, en-suites whilst outside the gardens have been attractively landscaped with sweeping lawns, vegetable plot, seaside garden, superb "bandstand" style sitting area, sheds and greenhouse. Also there is a double garage and ample parking.